Become An WTV3D Member Now! + Many Goods Coming Up! We are proud to announce that MakeHuman is ready for the next step. Today we present the Release Candidate (RC) of alpha 8.
are already present, but a period of stabilization is still required. thanks to a parametric cube with 6 interactive handles. Thanks to these handles you can resize it without moving it. like this you can speed up your work , and organized your project. 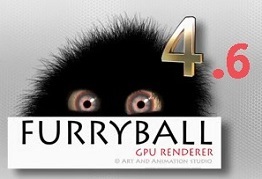 This short video demonstrates the improved Frame Buffer in V-Ray 3.0. Complete Lighting, Shading, & Rendering Toolkit for Artists. An updated version of Marvelous Designer 3 has been released. Announced the release of Marvelous Designer 3 1.4.0.7014. After a series of technological achievements, we are happy to announce that our edition 1.3 is now available! This video describes what's new in the v1.15 update for the Massfx Toolkit. The Massfx Toolkit is a scripted plugin that extends the capabilities of MassFX for 3ds max. Massfx in 3ds max can be cumbersome and difficult to art direct and manage. 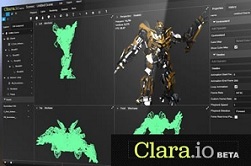 is capable of a lot more, and you can also connect up the individual segments to Mograph. - especially when you are working with more than two objects. In this video, we'll take a look at some of the new features and changes in the Dojo Scripts arsenal. We'll see what's new in the Dojo Extruder, Dojo Glitch, and Dojo Toolkit scripts.